For those of you that don’t know, I am a huge Dave Grohl fan. For those of you that already know this, you probably understand how passionate I am about this man’s music and what he has done for the music industry. I have spent days of my life just listening to Grohl’s catalogue of hits and may have been involved in a passionate debate or two on why he is so great. This playlist itself could have been triple the length but what I wanted to do was take you on a journey (a musical one!) through his career and highlight some of his best songs as well as some odd places that he appears throughout music. Honestly there was only one place I could really start. If you go and watch the music video for this song it may be hard to tell that the drummer doing his best Animal from The Muppets impression is actually Dave Grohl. At this point in time Nirvana had begun making history but the world did not understand that Grohl would make the biggest impact on the Industry, not the face of Nirvana, Kurt Cobain. Just listening to the opening still gives me chills, with the drums breaking through and setting the a generation of teenagers on their path to angst. Then Dave said to the world… let there be Rock! With the release of its self titled album, Foo Fighters rocketed on to the world stage with songs including “Big Me” and “This is a Call”. 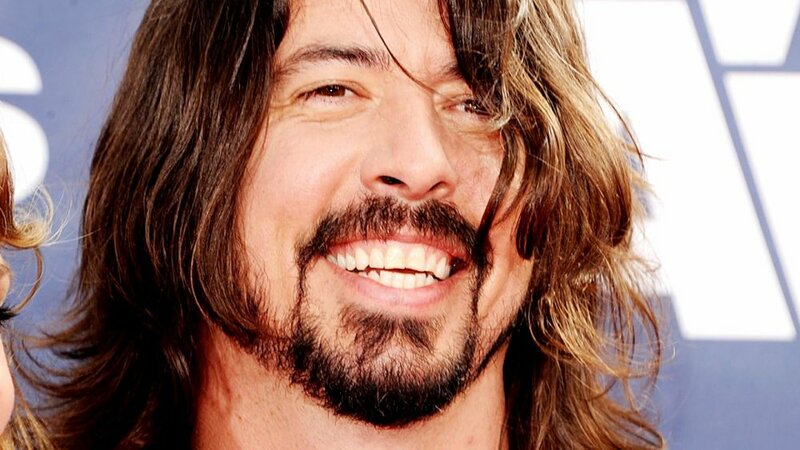 The sound of the Foo Fighters heavily featured Dave’s iconic drums but also included a fuller sounding guitar part that carries the music more compared to the music that the world had come to love from Nirvana. Dave recorded this album by himself, recording each of the parts and then releasing it under the name Foo Fighters without his name linked to the album. In the early years, Dave tried his best to respectfully move the Foo Fighters away from Nirvana’s legacy to create Foo Fighters own mark on history. “My Hero” is written for those local unsung heroes that may not get the praise and respect they deserve. The song itself is fantastic but what I love the most about it is how even at a young age Dave reflects on his life and his world to see the people he appreciated growing up were never sports or music stars but rather everyday people. Have you ever watched or listened to something and said to yourself “God they are having so much fun”. This is how I feel about the “Learn to Fly” music video featuring the Foos goofing around as different outrageous caricatures while on a plane. It showed that you can be successful without taking yourself too seriously. Dave’s goofy sense of humour shines through in this music video and with a fantastic supporting cast of Tenacious D (more on them later), it easily became one of my favourite music videos of all time. If you have ever been to a Foo Fighters concert you would know that the moment “All My Life” comes through the speakers you are in for something special. The heavier rock style had not been featured in a Foo Fighters single but it found a home with their fanbase extremely quickly. The build of this song make you hungry for its eventual breakdown and Dave’s performance took another step towards legendary status. The fact that this song was almost released with a very different composition showed the passion and care that Dave puts into each album to make sure it is something worth having the Foo Fighters name. This song symbolises an alternate reality where the Foo Fighters broke up in 2002. During a time where the Foos were having problems with writing their latest album, Dave took some time to go back to his roots and record the drum parts for Queens of the Stone Age’s album Song for the Deaf. “No One Knows” is my defining song from this album and probably the most well known Queens song. During a period of time that Dave was struggling with music, he really seems to have fun with laying down the drums for the track and touring with them. Thankfully this would only bring him back to the Foo Fighters better than ever. Foo Fighters are all about loud guitar, heavy drums and Dave Grohl belting out the lyrics, that was until the band decided to go on an extended orchestral tour to show the acoustic work that Dave has been experimenting with. This tour would change the Foo Fighters sound with the permanent addition of keys, violin and cello to the touring band and albums. “Skin and Bones” shows the lyrical finesse of Grohl while still keeping the chaotic build of a Foo Fighters song. Sometimes in the music industry you have to have some great friends, and for Dave it seems he keeps in pretty great company with Jack Black and Kyle Gass. Dave has recorded the drums for the 3 Tenacious D albums (and their upcoming 4th) as well as being featured heavily in their works in a recurring role as the Devil himself. One great song can begin 13 years of respect and appreciation. “Best of You” was the first Foo Fighters song that I took the time to listen to and enjoy. I remember being enamored with the artwork for In Your Honour and began listening to it as well as all of the Foo Fighters’ music I could get my hands on. Luckily for me, my sister and dad has albums on hand for me to begin searching through. When people are growing up and learning to play instruments you could often imagine friends hanging out and jamming together the different pieces of music that are floating around their imagination. This song embodies that for me, but instead of some teenagers in a garage, you have Slash, Dave Grohl and Duff Mckagan kicking back in a studio and having fun with this instrumental. The first time I listened to this piece I remember having the stupidest grin on my face for the entire 4 minutes. You are in for a ride and i totally understand if you don’t want to ride out this 20+ minute instrumental, but I found this incredibly inspiring when it was released earlier this year. Like many legends before him, Dave Grohl taught himself each instrument and has his own unique way of learning each one but this shouldn't have to be the case in 2018. Kids should be given every opportunity to pursue their creative side. To show this Dave played all 7 instruments for the 23 minute instrumental having to record each part in full in the one recording. Dave has released this song to inspire people to play music but to also bring forward organisations to empower them to play. I really hope you enjoy this piece. After Nirvana, most people were unsure if Foo Fighters could grow past its forefathers legacy, maybe even Dave himself was unsure about the future. But then “Everlong” hit the charts and took over. The music video propelled the song even further into people's hearts and etched Foo Fighters into history. Dave was no longer in Kurt Cobain’s shadow and could now forge his own path in the music world. I hope you enjoyed this playlist as much as i enjoyed putting it together. Please take the time today to appreciate Dave Grohl or an artist you love. But finally if you say anything bad about Dave Grohl then we will have problems!